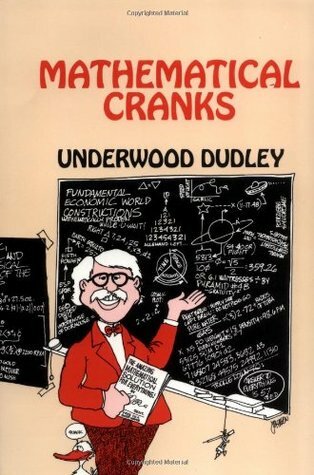 The world needs more math books that make us laugh.Mathematical Cranks is a tremendous amount of fun, but is probably only going to be enjoyable to people who absolutely love math.Take a look at the author's portrait on the back cover. If you're in a technical field and have had to sit and endure the experience of some painfully ignorant and self-important blowhard tell you how you're all wrong about things you know very well, you may end up looking like poor Professor Dudley.Cranks are the reason we have something called the "Dunning-Krueger Effect". If you're not familiar with it, look it up on Wikipedia and feel the room light up.Professor Dudley spends 350 pages methodically demolishing the mathematically incompetent. It's not one unremitting gripe-fest, though, as some ideas featured don't quite rise to the level of crankery--where this occurs, he says so frankly, and gives oddball ideas that appear to have some utility the credit they are due, particularly when their authors manage to refrain from promoting them in a patent-medicine-salesman's blaze of rapturous evangelism.The author enjoys himself tremendously at the expense of the more obnoxious variety of crank, and along the way teaches the reader more about math both in areas that are familiar, and in places only math majors go.